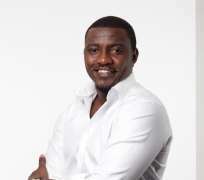 After a successful audition, the casts and crew of Restless Pendulum are very much ready and set to hit the location for a shoot that would be starring top African acts like John Dumelo, Francis Odega, Belinda Effa, Fancy Tracy Acholonu alongside others. The audition of this highly budgeted cinema movie, Restless Pendulum massively held in the heartland city of Owerri amidst exhibition of various talents in the presence of experienced film makers in Nollywood. Held at the popular Lamonde Guest House, Owerri, the jury made up of high revered and experienced film makers attracted the best of talents in the country, who all traveled from their various places of base to make cast for the movie. Expectedly, this Box Office cinema movie would be shot in Owerri, Imo State in Nigeria, as the major and mentioned casts have all arrived the State for a shoot kickoff. Restless Pendulum, a Pot of Africa presentation, from the stable of Davkam Global Resource Productions, under the supervision of Ugochukwu Igbokwe, to be produced by Chibuzo Jiwueze, written and would be directed by Mr Lambert Nnorom (Jnr.) of Transatlantic Pictures with Mr Henry Chigozie Chijieze as the executive producer.